Chicken Popeye? It doesn’t have any spinach or Olive Oyl, but can you really call it a pot pie in good faith when it doesn’t have a pie crust. Popovers, mmmm. One of my first experiences with popovers was in BLT Steak in Puerto Rico with Nicole. BLT’s popovers rock, they are loaded with cheese and as big as my head. If that doesn’t define greatness alone, it should. 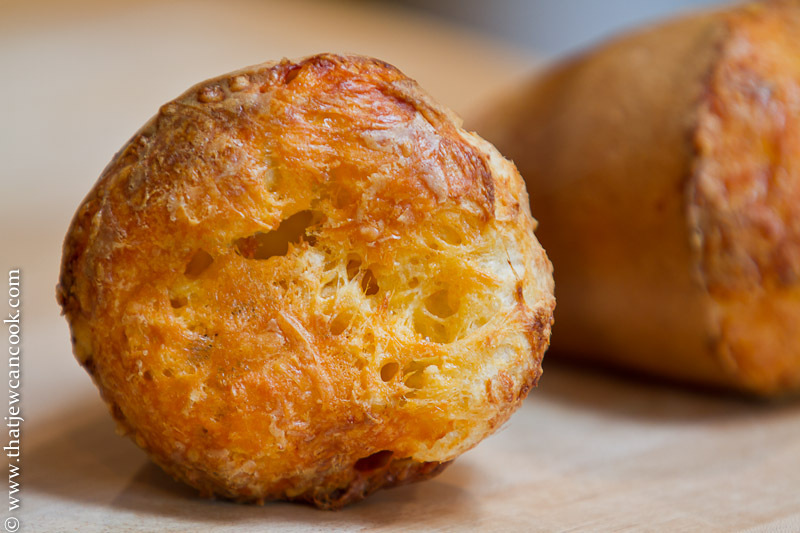 I used Alton Brown’s popover recipe with a little extra salt and some cheddar on top. Gotsta have the cheddar. So how do I get away with no cream? Once everything is cooked, I douse the whole shebang with chicken broth and then do the unthinkable. I add some mashed potato flakes to thicken the broth. The shame. Actually, this is the only purpose I keep the potflakes in the house, they have no business being eaten on their own and I am a little embarrassed whenever I need to buy them. I mean it’s not embarrassing like buying condoms from the 17 year old girl working at CVS, but its still uncomfortable. Evenly pour into a nonstick and sprayed popover pan/tray/rack. You can probably use a muffin pan too, but I use the rack. Be like me. In a large skillet over medium to high heat, carmelize mushrooms. I love carmelized mushrooms, the way you pull this off is to not move the mushrooms. For a while. Until they get nice and brown leave ’em alone, only then do you move them. If they spit out a lot of mushwater, then let the water evaporate off, while still not moving them. While boiling, stir in the potato flakes a little at a time until it starts to thicken up to a consistency you like. Be careful not to put in too much, it will stiffen up more as it cools and you don’t want mashed potatoes here, do you? Cut the popovers in half and pour the filling over. Don’t be stingy on the gravy like I was in the photo. What a great looking item. I need to make these, my 11 y/o would love them for sure. Thanks Chris. My wife and her family are staunch anti-pot pie folk, but the popover has helped me convert them to the dark side. Your 11 year old would love it! 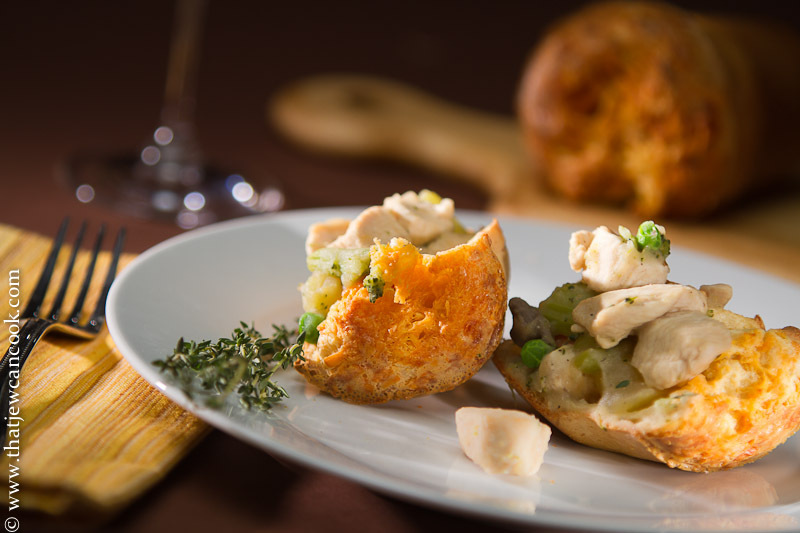 I like the sound of chicken pot pie popovers! Beautiful photography and gorgeous popovers! 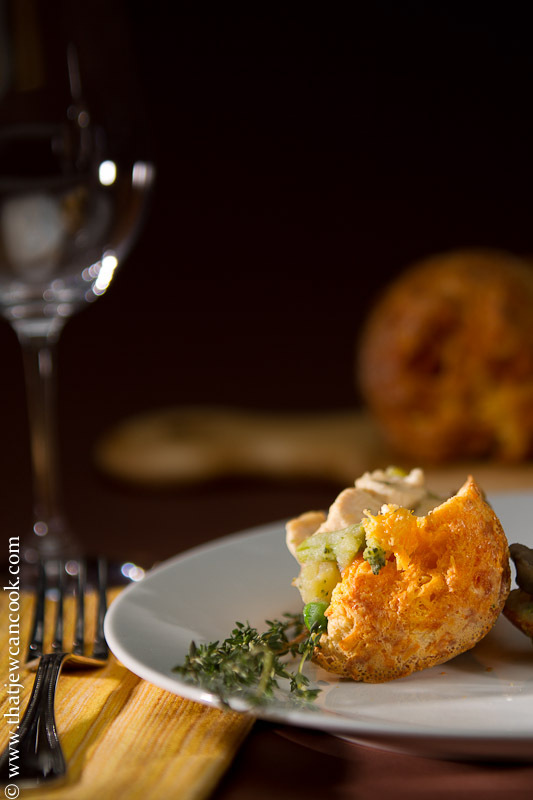 Popovers are so gourmet and seems have been somewhat forgotten..Thank you for bringing them alive and to our attention! Brother, I don’t know where you came from but I LOVE IT! Great work and great spirit! pls keep it up!